Greg & Steve Productions presents Get Up & Dance on Thursday morning, May 16th at 9:30am & 11:30am. 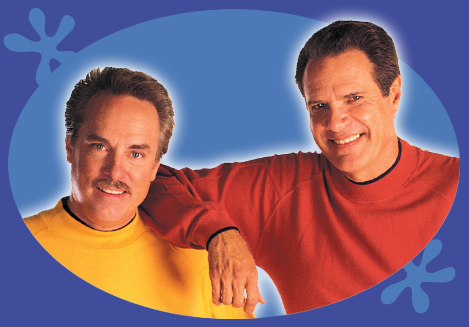 With millions of recordings sold, Grammy nominated Greg & Steve are the number-one selling children’s music duo in the country. It’s easy to see why – their singable lyrics and catchy melodies are set to a contemporary beat. Their motto is “Educate, Motivate, Enrich, and Entertain.” And, that they do!! Parents and teachers alike find Greg & Steve’s tunes a fun way to teach children basic concepts such as colors and numbers as well as friendship and cooperation. School performance only. Please contact your local school to see if they purchase tickets for Greg & Steve productions. For more information on Greg & Steve, visit their website. **PLEASE NOTE: Unless otherwise stated, all Playhouse events are presented by independent producers.